Don’t let the dock rock your boat. Rubber tire marks, dock plank gouges and the hassle of handling bulky, old-fashioned fenders don’t have to be a part of your boating world. Mooring Products International manufactures thick polyvinylchorlide (PVC) dock fenders that absorb shocks without damaging boats. These heavy duty fenders are completely weather, saltwater and oil proof. They have UV inhibitors to withstand the sun and are fire-resistant. 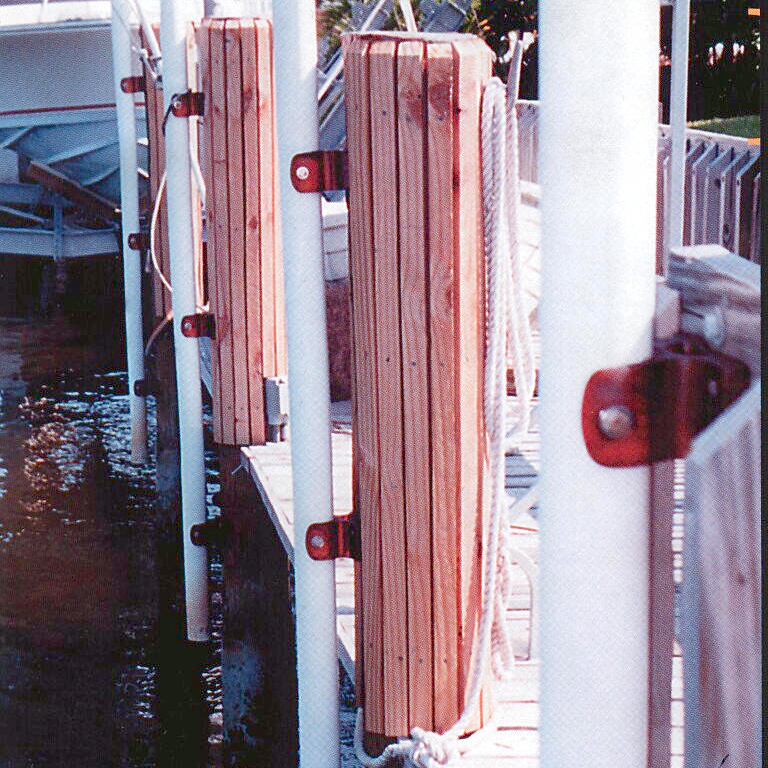 Our heavy duty size is 1 1/4″ in diameter and designed for boats up to 30′ in length. Extra duty size is 3″ in diameter and designed for boats over 30′ in length. Fender lengths are 4′, 5′, 6′ 8″ and 10′. There is a size perfect for your boat.